Gourmet vegan ice cream in the heart of East Village serving nut, water, and soy-based ice creams of delicious flavours. Vegan ice cream lovers paradise. Lula's sweet Apothecary has been the favorite of many vegan ice cream aficinados. In our "vintage" interior that recalls an old time ice-cream parlor, we proudly serve our variety of nut, water and soy-based ice-creams to all ice-cream lovers. We constantly experiment with new flavors, so stop by to see what we are up to now. 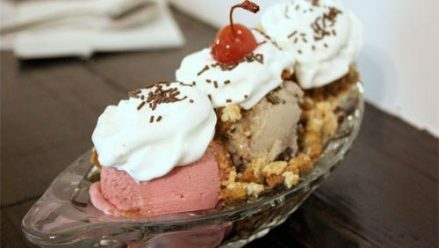 Some of the favorites include coconut fudge, peanut-butter fudge, cake-batter soft serve twist, cinnamon-pecan, and chocolate and vanilla malt flavors. Have we sparked your interest? Well, we haven't even started....Hope to see you soon.